Origami, literally folding paper (折り紙）, is one of those cultural activities that is said to epitomise Japan. Although not unique to Japan, it does have a fairly long history, dating back to the seventeenth century. 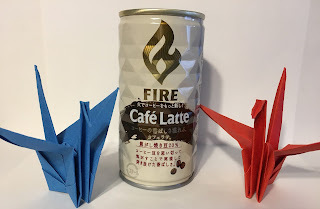 Today, most Japanese children will have made origami in school and if pushed most adults can probably create the well-known paper crane or tsuru (left). The crane is a mystical creature that is said to live 1000 years - hence if one makes 1000 folded paper cranes (senbazuru - "sen" meaning 1000 and "ba" the Japanese counter for birds) it is said to bring long life. The most famous story is that of Sadako Sasaki who developed leukaemia after the atomic bombing of Hiroshima and folded more than 1000 cranes in a futile attempt to prolong her life. She has a statue in the Hiroshima Peace Park where strings of paper cranes are a common sight. When Obama visited the Peace Park in May 2016 he donated four paper cranes he had folded himself to the Peace Memorial Museum. It was a gesture that resonated deeply with the Japanese public. But what of the coffee? 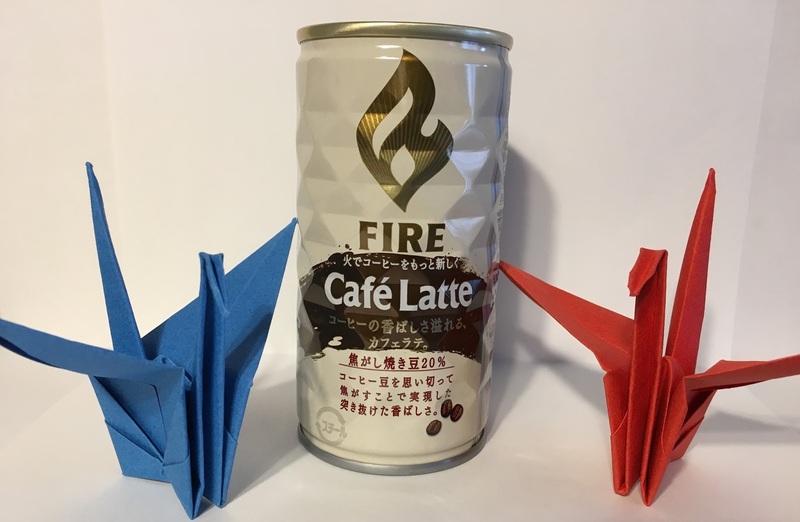 The can in the picture is made using a rigid origami technique called the Miura fold, used to easily unfurl items ranging from maps to solar panels in space. The diamond like pattern is light but strong. 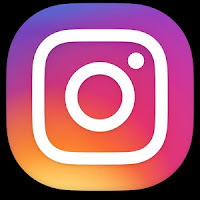 It is one example of how origami has become a part of everyday life.